Home / Blog / What are the Best Year-End Deals and Financing Opportunities? As 2017 comes to a close, new and used car dealerships are looking to clear out inventory and finish the year on a high note. If you’re looking to buy a used car before the year’s end, then you can drive into 2018 with a new ride at a low price with bad credit buy here pay here options! Why is year-end such a good time to buy a used car? During the fall season, car lots are packed with unsold older models. Now, dealers want to get rid of the remaining inventory to make room for new inventory. This points to big potential savings for year-end buyers, mainly on outgoing models. Create a target list of cars. If you’re shopping for the lowest price, locate several different cars and monitor them regularly to see if they’ve sold. As the new year approaches, if they’re still on the lot, the dealer may take a lower price. Get a redesigned model. Two big sellers like the Toyota Camry and the Honda Accord, tend to get redesigned every few years, so the older models should have an affordable price tag. Generally, following a redesign, the previous year’s model is perceived by some as less desirable because it lacks some newer features. For those who don’t need the newest bells and whistles, this creates a nice opportunity. Get pre-approved (today!). For shoppers with less than perfect credit, it’s best to get pre-approved for a loan before going to the lot. At Drive Now, we make this simple by offering an online pre-approval. So you can know if you’re approved before you even walk through our doors! 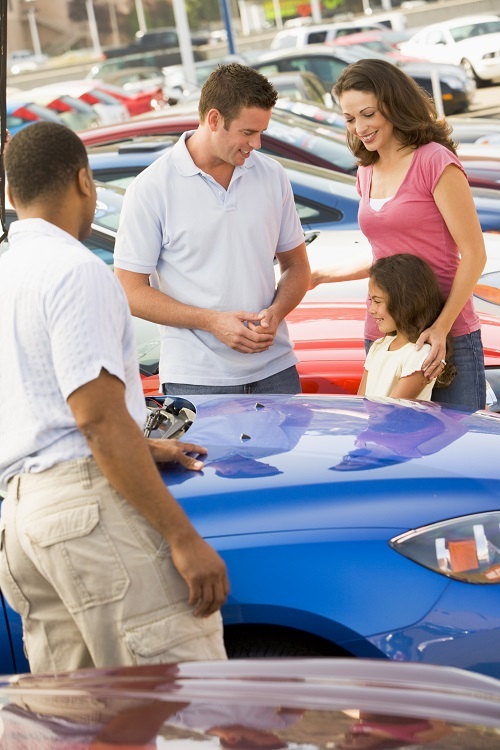 With our “Buy Here, Pay Here” financing options, we can help you buy a quality used car! We offer in-house financing, as well as bad credit auto loans Phoenix AZ residents can rely on. Don’t let credit issues get in the way of you getting the used car you need and deserve. Check out our last blog to learn how to boost your credit when you buy a used car from the Drive Now Team!